The Nuclear AMRC’s powerful new disk laser cell is now open for collaborative R&D into high-performance welding techniques. The centre’s power beam team have completed the first welding trials, following a four-month installation of the cell. The cell is designed to produce high-quality deep penetration joins, from around 15mm in stainless steel, over lengths of a metre or more. 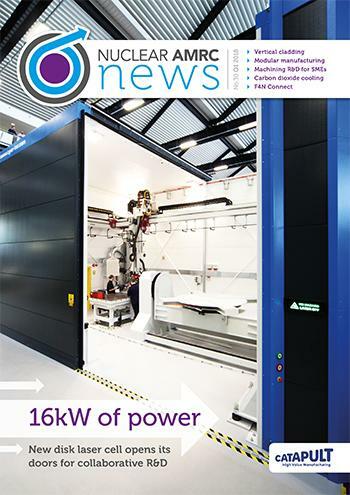 It features a 16kW Trumpf disk laser, the most powerful of its kind in the UK. 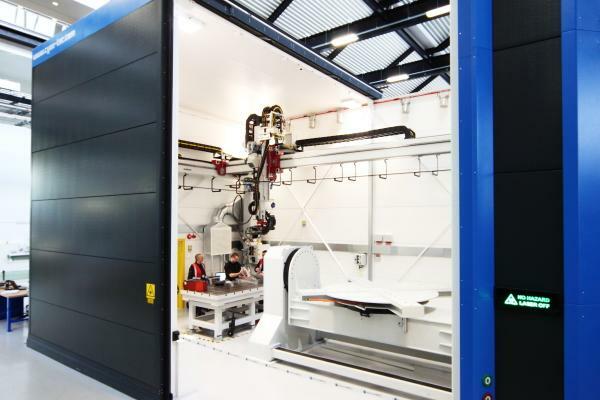 The laser head is carried by a six-axis gantry over a two-axis manipulator table which can carry components up to 15 tonnes, all contained in a safety enclosure measuring 10 by seven metres and eight metres height. The cell has been designed and built by Loughborough-based Cyan Tec Systems, a specialist in integrating robotic and laser systems for industrial applications. The Nuclear AMRC team will initially use the cell to investigate the viability of using the laser to weld seams on large intermediate-level waste containers for the nuclear decommissioning sector. The cell can deliver a simultaneous MIG weld for hybrid welding, which can offer a better fit-up tolerance than laser alone with less heat distortion than arc alone. The technique is used in the shipbuilding industry to join steel plates. With further development, the cell could also be used to investigate laser cutting techniques for decommissioning. The team now want to talk to manufacturers who are interested in developing laser welding processes for their own production, or who want to investigate innovative applications of the technology. For more on the Nuclear AMRC’s latest R&D capabilities and research projects, download the Q1 newsletter. The Nuclear AMRC is seeking views from manufacturers on new regional R&D hubs to provides additional support in key areas of nuclear technology. The Nuclear AMRC has launched the consultation to gauge demand from companies working in the nuclear industry and other advanced manufacturing sectors. The consultation seeks views on what additional capabilities will deliver the most value to industry. Proposed technical areas include advanced construction techniques, equipment qualification, testing, and innovative electrical control and instrumentation (C&I) technologies. “The development of new advanced capabilities is an opportunity to bring high value opportunities such as C&I to the forefront of research and innovation in the UK, alongside initiatives such as modular construction and equipment qualification,” says Andrew Storer, chief executive officer of the Nuclear AMRC. The UK has a solid base of academic and industrial experience in many areas of technology, but a limited amount of nuclear-specific research. New build reactor vendors typically carry out research in their home country. Increasing the UK’s C&I research capability, for example, would help the domestic supply chain move from legacy analogue systems used in existing plant, to the digital and wireless technologies systems used in new reactor designs. That would enable the UK to compete for more C&I work in operations, decommissioning, new build and future reactor development, and reduce project costs. The consultation will seek views from the nuclear industry, academia, regional authorities and Local Enterprise Partnerships (LEPs), as well as cross-sectoral input from other high-value industries such as construction, rail, aerospace, automotive and marine. The Nuclear AMRC is now contacting its members and other companies it is supporting through its manufacturing innovation and supply chain development work, including manufacturers taking part in the Fit For Nuclear programme. 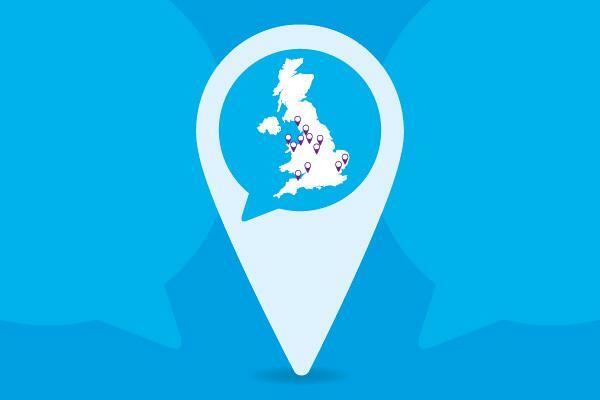 The centre also welcomes input from any other interested company or stakeholder. To submit your views, go to the Nuclear AMRC future capabilities survey. 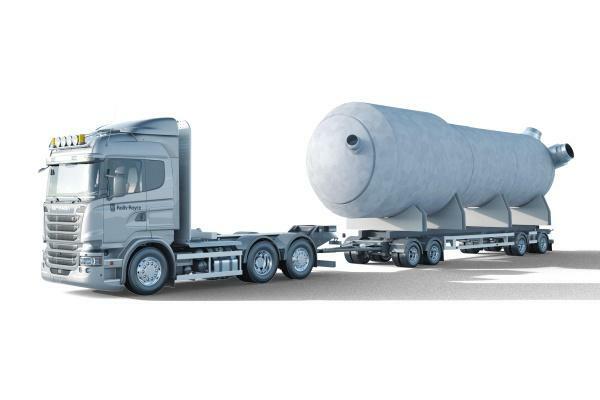 Rolls-Royce has awarded a contract to the Nuclear AMRC to develop a module demonstrator for the UK SMR. The demonstrator will develop an understanding of modules and underpin early-stage design principles which will help deliver cost and programme certainty for the manufacture, construction and through-life operation of its UK SMR power plants. Rolls-Royce is leading a consortium of British companies to design a small modular reactor power station to deliver low cost, low carbon energy to help the UK meet its carbon commitments. The Rolls-Royce-led UK SMR could produce reliable energy for as low as £60 per megawatt hour – competitive against wind and solar – and through its innovative approach to modular construction, can avoid the complexities, delays and overspends often associated with large infrastructure projects.